We were already talking about our famous fortress of Hohensalzburg. We left some questions open. Was it really built for fighting activities? and what about the bull washer / Stierwascher and the Salzburg’s Bull / Salzburger Stier ? Well, here we have a combination of historical facts and legends. 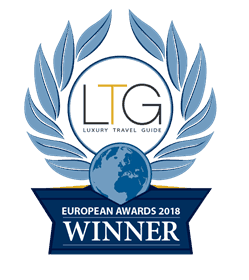 We will try to open this “secret” for our guests with b(e) specialtours. As the money for the expansion of the fortress came partly from the gold mining of the Hohe Tauern, a group of organized miners started a revolution against the archbishop of Salzburg. There were also conflicts concerning the persuasion of catholicism in the city region and outside in the countryside between the mountains the farmers were also lutherans. Therefore the farmers and miners occupied in 1525 the archbishop of Salzburg, the ruler Matthew Lang von Wellenburg for 14 weeks in his castle. However, without success – the Hohensalzburg Fortress remained impossible to take. Why was it so impregnable – and how tricky the Archbishop was, that’s the following legend. The legend of the “Salzburger Stierwascher”. Every day he painted the last bull in a different color (often three times a day) and led him demonstratively around the fort on the highest wall. So he wanted to pretend enormous meal’s reserves. The farmers themselves had to go back to their farms in the countryside otherwise their own harvest would be ruined and they would starve in the winter season. So the trick of the archbishop worked: Discouraged the farmers ended their seemingly and lost their rebellion. During this time also another castle in the countryside Hohenwerfen was destroyed and therefore the farmers had to rebuild it as compensation. 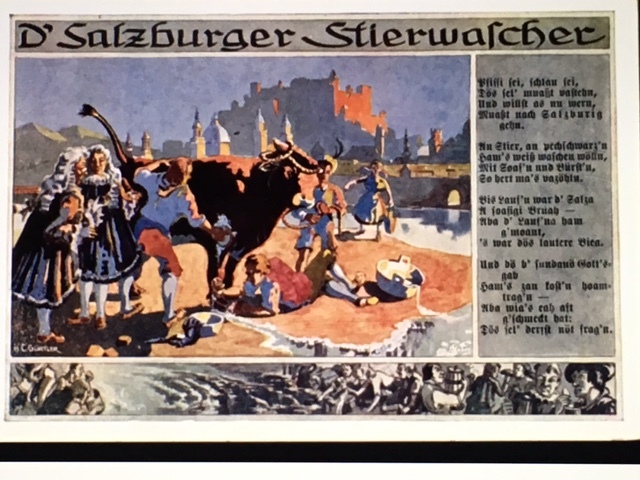 The archbishop himself brought the bull to the river Salzach and washed it to show the farmers how they got tricked. Because of this legend, the Salzburg are today often referred as Stierwascher (bull washers), mainly the babies born in the old town of Salzburg. As “very special gift” to the citizens of Salzburg, the pipe organ in the Krautturm, which is called the “Salzburger Stier”, was built by archbishop Leonhard von Keutschach (1495 – 1519). 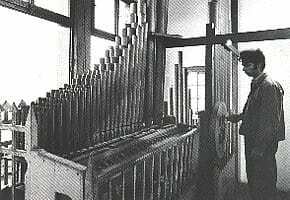 The tone of the pipe organ is to hear in the whole city and should call the town’ s people every day for the start of their work. So you can imagine, they were not very impressed by this sound. The Stier is located inside of a little room in the tower for over 500 years. This room is actually hung outside the great wall of the Fortress of Hohensalzburg. When the organ pipes are playing the windows are swung open to allow the music to be heard in the city of Salzburg so they sound down to the city. Well done arlctie that. I’ll make sure to use it wisely. thank you very much for your comment. you can use it if you do not sell the article.